Registration Fee Includes: CE credit, 2 day program, downloadable handouts, CE credits, and meals provided during the conference. Early Rate prior to October 1: $495, late rate is $525 after October 1. 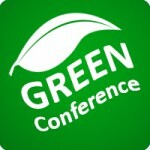 The Psychiatric Pharmacotherapy Update is a GREEN conference. Registration fee includes electronic copies of all presentation materials. Printed copies will not be made available. It is recommended that attendees bring a tablet device or laptop with at least 8 hours of battery life. Wifi will be available in the conference room. 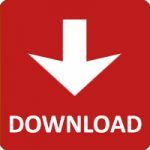 Click here for instructions on how to download the 2019 course materials, when availble. 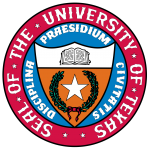 The University of Texas Discount: Employees of any University of Texas System institutions, including UT Austin, are eligible to receive a $75 discount off the current posted registration fees. 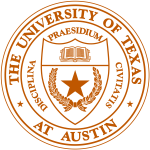 Members of the listed UT Austin groups should enter the coupon code: UT18PSYCH in the coupon box during registration. Veterans Affairs Discounts: Employees of the United States Department of Veterans Affairs (VA) are eligible to receive a $75 discount off the current posted registration fees. VA employees should enter the coupon code: VA18PSYCH in the coupon box during registration. Texas Health and Human Services (HHSC) / Department of State Health Services (DSHS) Discount: Employees of the Texas Health and Human Services / Department of State Health Services (HHC/HHSC/DSHS/FCHS/MHSA) are eligible to receive a $75 discount off the current posted registration fees. HHS and other Texas State agencies’ employees should enter the coupon code: HHS18PSYCH in the coupon box during registration. Pharmacy and Medical Students: PharmD P4 Students along with Nursing and Medical students who are not to receive CE credit are eligible to register at the Student Rate of $120. Students should enter the coupon code: p419PSYCH in the coupon box during registration. Student identification will be required at time of check in if rate is used. Rate Expires Oct 4. Pharmacy and Medical Residents / Social Workers: Pharmacy and Medical Residents as well as Texas licensed Social Workers are eligible to register at the Student Rate of $220. Residents and Social Workers should enter the coupon code: RES18PSYCH in the coupon box during registration. Identification of status will be required at time of check in if rate is used. Rate Expires Oct 4. An 80% refund of the conference registration fee will be made if notification of cancellation is made to College of Pharmacy Continuing Education by October 1. Refunds will not be made for cancellations received after October 1; however, substitute registrants will be accepted.